March 8-13 is National Consumer Protection Week. 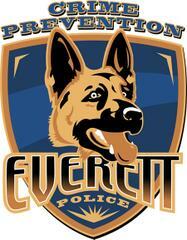 Everett Police reminds you to be careful of ID Theft. The week of March 8th -13th is National Consumer Protection Week. The Everett Police Department and the FBI want to remind you of the dangers and vulnerabilities of Identity Theft. Get educated - It can happen to anyone! Beginning this month the U.S. Census Bureau will mail short questionnaires to every household in the U.S. and Puerto Rico in an effort to collect important demographic data. As a citizen, you are required by law to respond to the 10 questions. From April to July, those who don’t return their census information will receive a visit from a census taker. Identity theft criminals are taking advantage of the census law and targeting unsuspecting victims in an attempt to steal their sensitive information. Scams range from fraudulent e-mails asking for personal information to attempts at impersonating census workers. Most citizens willingly give their personal information to census workers which make these scams very effective. Remember, there are distinct differences between a real census worker and an identity thief.